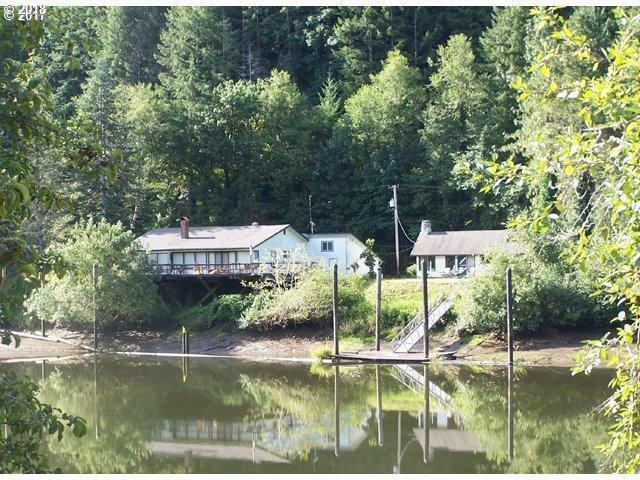 Siuslaw Riverfront two bedroom, two bathroom home with guest cabin, garage, dock, and large deck overlooking river providing spectacular views. Located within hour drive of Eugene. Includes additional non-contiguous parcel of 1.05 acre. Bids due November 14, 2018. Contact listing broker for bid package.